We want you to feel unique and special on your wedding day. This moment is yours, to pamper and care for yourself. It’s your day to look perfect. Tell us what you prefer and we’ll recommend what you need to shine and attract everyone’s looks. We want to know about all your wedding details, the theme, your wedding dress, who will accompany you on your day. This way, we adapt to all your wishes and give you a taylor-made treatment. 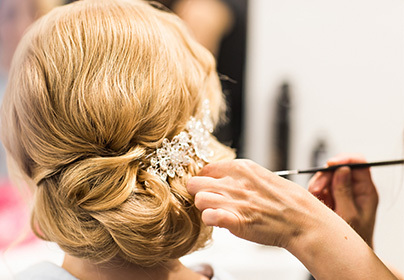 During the makeup and hair trial we’ll study your facial features, your dress, headpiece and veil to achieve an exclusive and memorable look. Exclusive advice for the trial, treatment in the salon, trial with variations, makeup test, treatment on your wedding day, final hairstyling and makeup. If you prefer not to have to move, our professionals will go wherever you wish with all the necessary equipment to take care of you as you deserve. Exclusive advice for the trial, treatment in the salon, trial with variations, make up test, treatment on your wedding day, French pedicure and manicure, final hairstyling and makeup. If you prefer not to have to move, our professionals will go wherever you wish with all the necessary equipment to take care of you as you deserve. 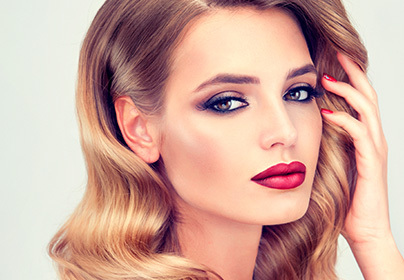 You have an event and want to look perfect? Tell us your preferences and we’ll advise you. Color brings out the shape of the haircut and sets trends. Carche offers a wide variety: natural, luminous, in season tones. 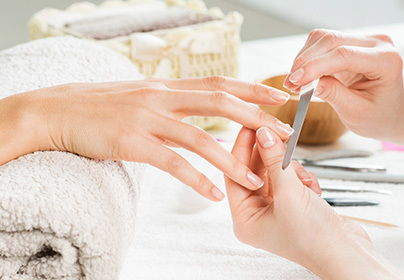 Comprehensive hand and nail care to show them off with a cared for and colored look.